Travers practices primarily in the firm’s Construction Law area, representing subcontractors, general contractors, owners, suppliers, architects, sureties, construction managers and others. He joined Kegler Brown in 2005 from Katz & Stone LLP, in Vienna, Virginia (suburb of Washington, D.C.). Eric advises construction businesses and owners in all aspects of construction law, including resolution of payment disputes, contract drafting and negotiation, bid qualifications, risk management strategies, and preserving, perfecting and enforcing/defending mechanic’s lien and bond claims. Eric regularly advises clients on matters involving asserting, defending, negotiating and resolving payment and performance bond claims. Eric is experienced in change order issues (delay claims, changes, acceleration, damages, changed conditions, etc. ), airport lease and sublease negotiations, and drafting and negotiating release and settlement language for payment claims. He also represents clients in resolving OSHA citations and related matters. 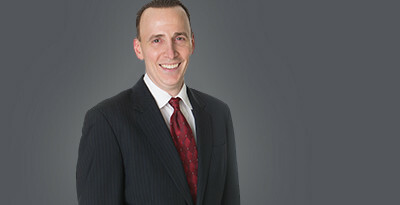 Experienced in state and federal court trial and appellate practice, Eric has successfully helped numerous clients resolve disputes through alternative dispute resolution techniques, including mediation and arbitration. Eric specializes in helping clients develop cost-effective strategies to evaluate and manage risk at all stages of the contract, project and litigation process, with an eye to limit and resolve disputes short of litigation. If litigation or arbitration cannot be avoided, Eric works with his clients to develop an arbitration or trial strategy to achieve an outcome consistent with their goals and the law. Eric then takes the case from the initial pleadings to the final judgment or award and beyond and presents each case in a manner designed to maximize his client’s opportunities to get and preserve a favorable outcome. Published author of numerous construction law topics, including articles on mechanic's lien law, surety claims, contract negotiation, changes, defects, delay claims and contractual risk transfer for publications of the International Risk Management Institute, the Washington D.C. Metropolitan Subcontractors Association, the Construction Management Association of America, NACM-Ohio, the Ohio Construction and Code Journal, and others. National speaker and seminar lecturer on construction law topics to trade association and industry groups, including the American Bar Association, American Subcontractors Association, National Electrical Contractors Association, Lorman Education Services and others. Authored amicus brief for the American Subcontractors Association in pending U.S. Supreme Court case In Re: Atlantic Marine Construction Co., Inc. v. United States District Court for the Western District of Texas, et al., Mp/ 12-929 (2013) a case where the U.S. Supreme Court is resolving a split in the Circuits pertaining to the enforceability of forum selection clauses in construction and other commercial contracts. Has successfully represented numerous clients in OSHA citation enforcement proceedings. Authored successful amicus brief for the American Subcontractors Association in Questar Builders v. CB Flooring, 410 Md. 241, 978 A.2d 651 (2009), where the Maryland Court of Appeals held that the implied covenant of good faith and fair dealing applies to limit a party’s discretion to exercise a termination for convenience clause in a contract. Successfully represented school board in obtaining dismissal of lawsuit by general contractor on grounds of fraud or mistake. Ingle-Barr, Inc. v. Scioto Valley Local School District Board, 2009-Ohio-5345. Successfully won preliminary dismissal of multi-million dollar contribution claim against client in Kohl’s Dept. Stores Inc. v. Target Stores Corp., 214 F.R.D. 406 (E.D. Va., 2003), a case arising out of major commercial construction of a shopping center complex. Successfully represented subcontractor client in winning more than $1.5 million from surety in R.W. Granger & Sons, Inc. v. J&S Insulation, Inc., 754 N.E. 2d 668 (Mass. 2001), a judgment unanimously affirmed by the Massachusetts Supreme Court in a dispute arising out of a bond claim for work performed on Boston’s Logan International Airport. Successfully represented client in achieving preliminary dismissal of change order claim suit, affirmed by unanimous Virginia Supreme Court in Gelles & Sons General Contracting, Inc. v. Jeffrey Stack, Inc., 569 S.E. 2d 406 (Va., 2002).